This is an administrative page! It should remain hidden from navigation. It's a place to store useful content blocks that can be copied to other pages. ﻿ To ensure that we have sufficient materials for all attendees, please register in advance! Join BAAPT now and pay a reduced rate for the remainder of the current program year! 1. Special Gift for Joining or Renewing Your BAAPT membership in May. We officially kick off our Membership Drive in May. To thank you for renewing or joining early, we have some wonderful Thank You gifts. CPP has generously given us a number of Type booklets (e.g., Introduction to Type and Coaching, Introduction to Type and Leadership, Measuring the Results of MBTI Type Training, Type and Career Development and other miscellaneous books and gifts). When you renew or join in May, you will receive one of these booklets. But don’t wait! There are limited numbers of each booklet, so to have your first choice, renew early. (Note: we will be giving them out at the May meeting. If for some reason, you’re unable to be there in May, email Judy at judy@levyconsulting.net to let her know which booklet you prefer. We’ll hold it for you to pick up at the September meeting). But remember - renew early - bring your checkbook in May or renew online to Claim your Gift. Refer a friend to BAAPT and earn the chance to win a free membership for the 2016-2017 Program year or free admission to the annual fundraiser (April 8, 2017 with the incomparable Susan Nash!) How? Have your friends attend the May, September, or October meetings as your guest and get your name entered into a drawing for EACH person you refer. Contest is open from May 1 2016 - October 8, 2016. Member will receive one entry into a drawing for a FREE Membership for the 2016-2017 Program Year for EACH Guest brought to the May, September, or October 2016 meetings or for EACH new referral who becomes a member by October 8, 2016 (e.g., they become a member over the summer without having attended a meeting). Member will receive FREE entry to the Annual BAAPT Fundraiser for referring three (3) guests anytime between May 1, 2016 and October 8, 2016. BAAPT Membership Committee Co-Directors and their families are ineligible to participate in the contest. BAAPT retains the right to increase the number of prizes (e.g., Free 2016-2017 Membership) should the level of contest participation warrant it. The winner(s) for the free membership will be selected at random at the conclusion of the October 8, 2016 program. Winners will notified by email of their winning status. Winner(s) will be able to choose whether to be reimbursed for the 2016-2017 program year or to apply their membership to the 2017-2018 program year. ﻿﻿﻿The official BAAPT Program Year may have ended, but the conversation doesn't have to. Have you learned something new? Did you read an interesting article? Do you have a question? 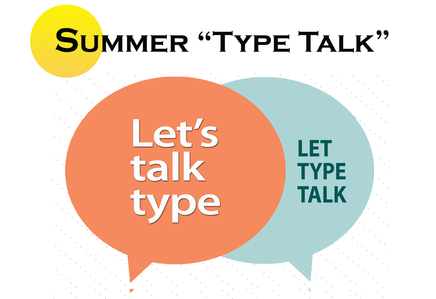 ​Come join us in person to talk about Type! We'll be meeting at a coffee shop in MIllbrae. Please join our Facebook group and share. Temperament, and a variety of typology applications. offer presentations to our group of delightful and articulate psychological type enthusiasts. the Association for Psychological Type International.